Test Your Football Trivia Knowledge At Guts Casino. 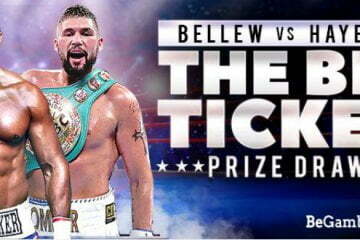 If you’re a football fanatic who rates your football trivia knowledge or simply a regular casino player with a PhD in search engine skills, then boy do Guts Casino have a fantastic promotion for you. Every day from now until July 9, the hugely popular online casino site will be celebrating Euro 2016 by offering free spin bonuses to visitors who can correctly answer a football-themed trivia question. 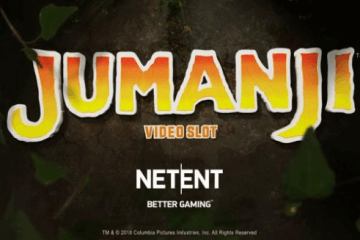 Prizes in the promotion so far have included five free spins on the new Jimi Hendrix slot, the NetEnt classic Gonzo’s Quest and The Wild Chase by Quickspin – and best of all, each question is multiple choice, meaning that even if you’re not a football fan, you still have a one in four chance of winning. Of course, those of you out there that fancy yourselves as true football buffs shouldn’t have any trouble getting your hands on these fantastic daily bonuses, but given you have up to 72 hours to answer each question, even if you’re stumped a quick bit of Google research can still yield rewards. 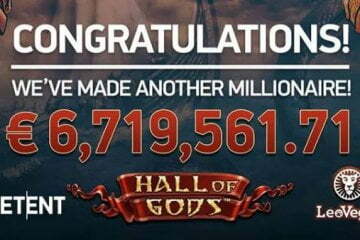 Essentially, whenever a player logs into Guts Casino, they’ll be presented with a new daily question plus any other questions from the previous 72 hours that they’ve not yet tackled, with free spins being awarded for every correct answer that they submit. These free spins also come with absolutely zero wagering requirements, meaning that every bonus game you earn is yours to keep immediately. What’s more, for the duration of the Euro 2016 free spins promotion, Guts Casino will also be running a special leaderboard where the top 150 players will win themselves a cash prize of up to €/$/£1,000. Every question you answer correctly from now until July 9 will reward you with leaderboard points, while you can also further improve your chances by completing daily missions. 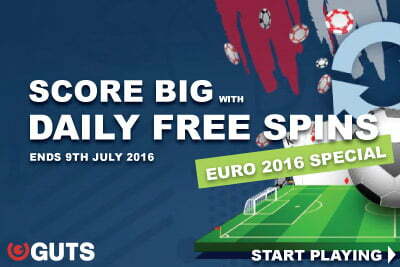 These special objectives typically include making daily deposits and completing certain wagering requirements on iOS or Android slots, meaning you can actively choose how involved you want to get in the Euro 2016 promo – if it’s just the free spins you’re after, log in and answer a new question each day, but if your sights are set on a share of the prize money, get spinning now and go for glory. The winners of the Euro 2016 competition will be decided when the promotion ends on July 9, with the #1 ranking player receiving €/$/£1,000 and the other top 149 players who have tested their football trivia knowledge winning a prize of between €/$/£15 and €/$/£500. 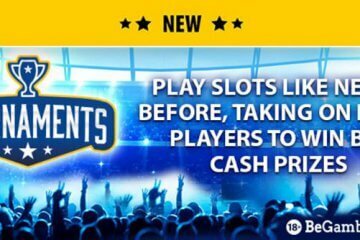 With that plus the possibility of bagging profits from your daily free spins, it truly is a promotion that everyone should get involved in whether they know their football or not!